Today, FunkyVideoGames presents gaming accessories that are also best gift for gamers under $50. IF you love gaming then you’d also know that it’s not a cheap hobby but if you can find gaming products for cheap that’d be really awesome, isn’t it? If you want a good gaming headphones and you just have $50 then we’ve you covered. Well what’s better than crisp and affordable stereo audio? Nothing! Logitech G230 Gaming Headset is really a solid product from a trusted brand and its affordability goes a long way. If you can snag one of these up and added to your gaming setup, it will be worth your time and money. As we all know the case with over the head headphones that they are unable to block out the world noises around you, the Logitech G230 Gaming Headset perform fairly well with both in-game sounds and music. It may not be the best choice for high volume shooter games but it’ll definitely enough for most of the games such as RPGs, puzzle games, adventure games and even with music/skype/Hangouts. So you’ve a gaming rig and you’ve got G320 Gaming Headset on your head, and you want to know that what can go wrong? The answer is nothing. 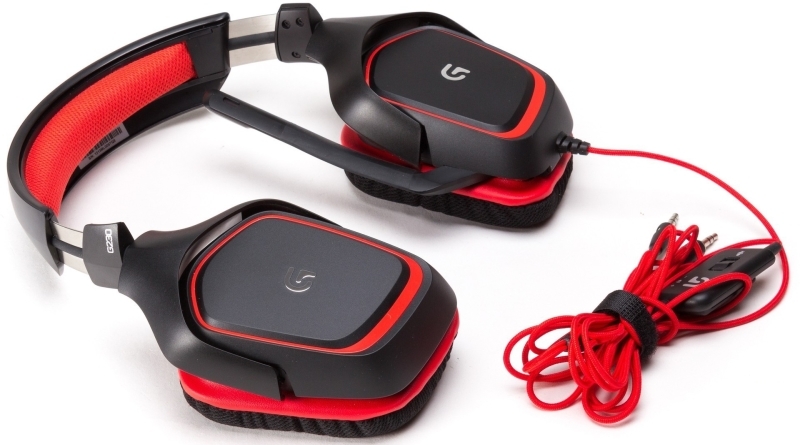 G320 Gaming Headset will work well in most of the games, these headsets are comfortable for long gaming sessions and they do not build up sweat or heat. Despite the fact, these gaming headphones are made of silicone rubber and plastic, these headsets are more durable and comfortable than they look. As far as gaming headphones go, these are probably the best gaming headsets according to cost-to-performance. The Logitech G230 Gaming Headset not only hits great marks all-around, but it is also durable and a gamer must. It is not as ideal for loud shooting video games, but it will definitely not disappoint you, you can see it as a jack of all trades. If you are looking for best gift for gamer, or for your own personal use but do not want to spend tons of coins on dedicated gaming headphones, Logitech G230 Gaming Headset is the perfect option. It isn’t on a level with high-end dedicated gaming headsets, but it in best for entry level buys.